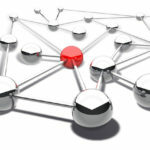 What is it about network marketing that makes so many people fail? Statistics show that a shocking 97% of people who join MLM companies drop out because they don’t make any money. Many go in expecting that it’s easy to get free MLM leads online; after all, how complicated can it be? 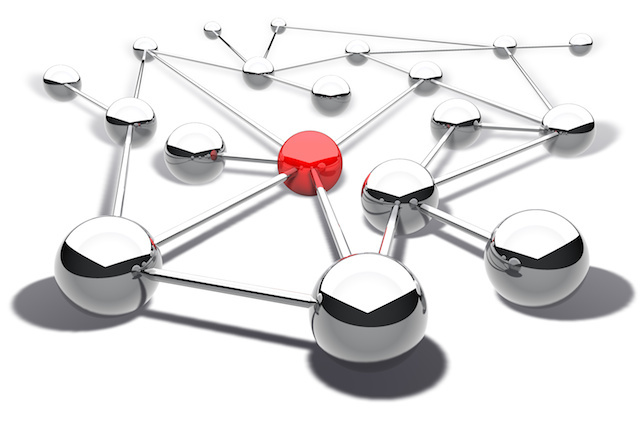 The truth is that leads are not easy to generate unless you have a true strategy in place. You have to find a way to ensure that each day you get some leads to follow up. If you have been struggling, keep reading to find out how you can start finding free network marketing leads. Ask many network marketers and they will tell you that yes, they do SEO their websites and yes, they do it themselves. In truth, what most will do is just a fraction of what needs to be done to get ranking. They assume that by placing keywords here and there, they will be ranked. Getting on the first page of search results takes more than that. It takes technical expertise and time. Fortunately, there are professionals who can do it for you for a small cost. Stop doing SEO yourself unless you are an expert. Hire someone who you can hold accountable for results in generating free MLM leads online. The old way of generating free MLM leads no longer works. People no longer listen to marketing pitches; they have heard so many of them that they have simply tuned out. Buying leads worked in the past. You could email thousands of people and some of them would actually email back expressing their interest. A single meeting would actually get people to sign up. Try this today and you can be sure that if you generate any leads, it will be a slow and painful process. Today’s prospects are more interested in value, not products. They want to associate themselves with someone who has more to offer than a sales pitch. What this means for you is that you have to make yourself stand out from the competition, not your product. You have to be both knowledgeable and confident, and you have to make the world perceive you as such. Look at people who do very well in network marketing; they are constantly out there giving solutions to problems relevant to their niche. They are in forums expressing their authority and expertise. Because they are known as problem solvers, it becomes easier for them to recommend their product as part of the solution they offer. Prospects are attracted to them because they are visible and are more informed than their competitors. The good news is that it isn’t very hard to become an attraction marketer. You can buy pretty good systems that take a step by step approach to get you there while at the same time helping you generate free mlm leads online. They will teach you how to become more knowledgeable and more confident, how to respond when you are faced with prospects, and even how to establish authority online. This is one of the easiest ways to generate free MLM leads. There are already many people who are successful in network marketing. They know how the business works and they are interested in expanding their own business by joining new MLM opportunities. If you can get them in your down line, you have recruited prospects who know exactly what to do and how to do it. With their skill and experience, they can generate lots of free network marketing leads and grow your down line substantially. All network marketers want to recruit as many prospects as possible so that they can make more money. Unfortunately, it doesn’t work. If you want to be successful, mentor more and recruit less. This means that you must take time to train the prospects that you recruit. Take them through the process and be thorough. Don’t just tell them about the company and the products. Teach them about attraction marketing, SEO, how to convert prospects face to face, and how to handle prospects after they have recruited them. Having a few prospects who are very well-trained and highly motivated will help you make more money than having lots of them who don’t quite know what they are doing. 5. Stay motivated and hang in there! 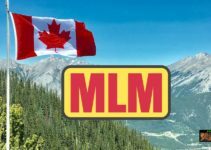 MLM is not a fly-by-night success business. Ask most successful marketers and they will tell you that it took them at least a year of consistent effort to start to see regular income. Your approach should be one prospect at a time. Don’t expect that you will convert a whole lot of people in a few months. 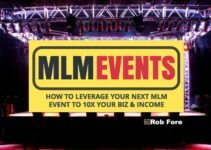 Don’t expect that you can start living off MLM income immediately. Stay motivated by talking to your sponsor often and other MLM marketers as well. Getting free MLM leads requires that you take action every single day. Put in at least 2 hours every day and you will see your down line begin to grow and flourish!